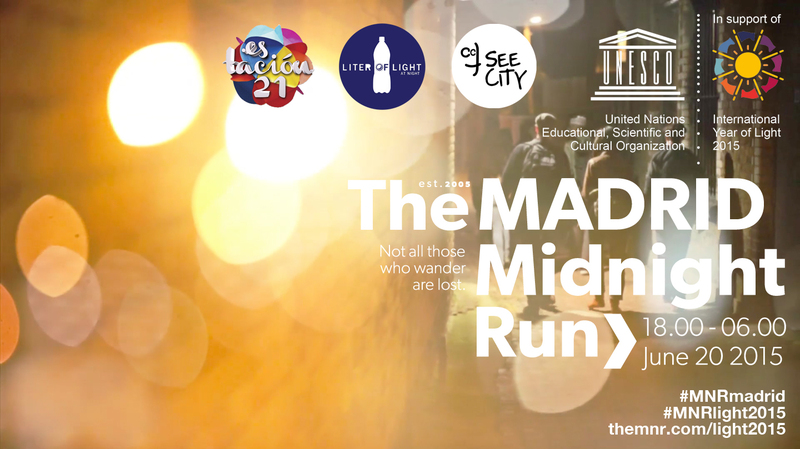 MADRID is the second capital city to host the European Tour of The Midnight Run​ 2015, coordinated by CCT-SeeCity and in partnership with UNESCO, to celebrate the International Year of Light. 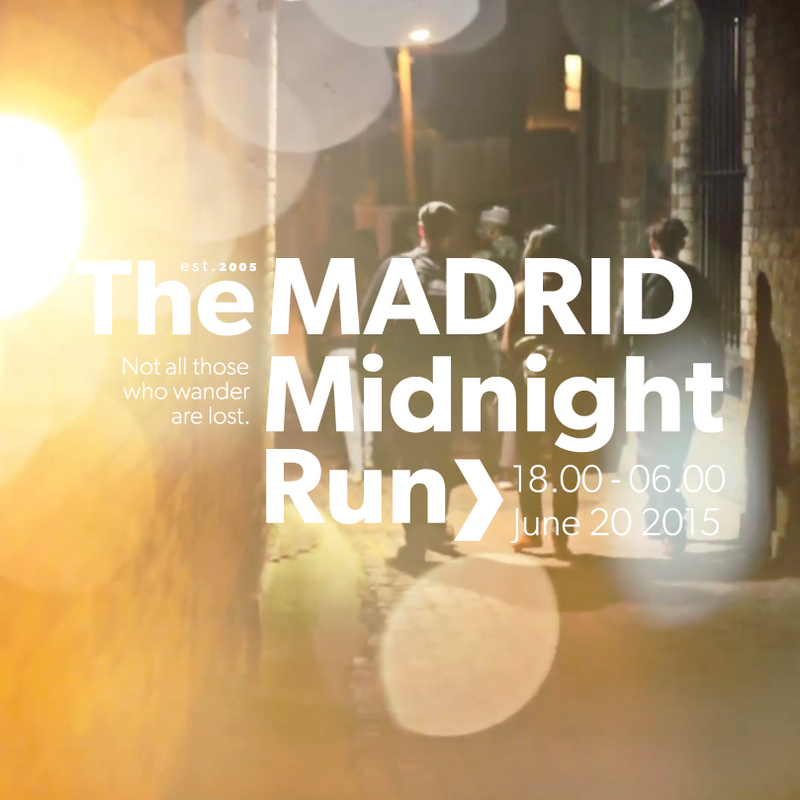 #MNRlight2015 // #MNRmadrid: Saturday 20 June, 35 MNRunners (participants) and 5 local Artists will meet to walk and explore Madrid, play and create together whilst the city sleeps, from dusk to dawn (18.00 – 6.00). Will you join us!? 50% of funds raised from event tickets will be donated to Liter of Light NGO, the goal being to provide low-cost solar lighting technology to a new centre for women and children called “The House of Marietou” and located in Pikine, a suburban village of Dakar, capital city of Senegal. Here, by the end of the UN’s International Year of Light, Liter of Light Italia will install 280 lights (both street and home lamps) thanks to the 280 MNRunners of The #MNRlight2015. 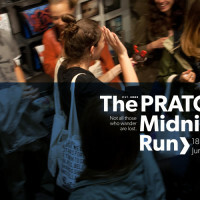 The next events will be in LONDON, July 18> BERLIN, August 15 > PARIS, September 12. Follow us and join us! 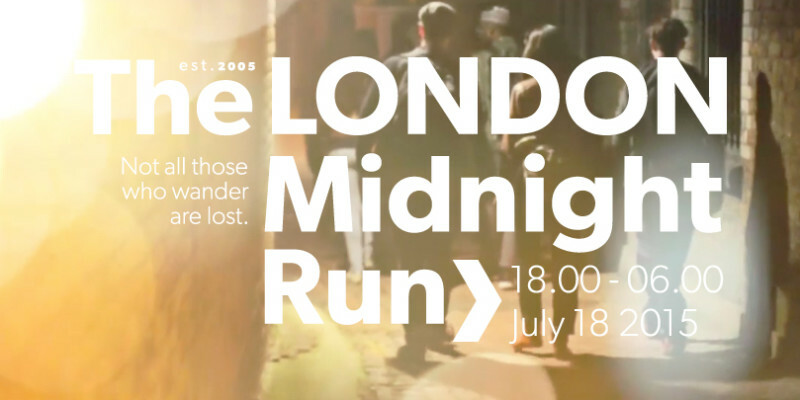 Founded in 2005 in London by Inua Ellams, The Midnight Run celebrates 10 years of growing success and CCT-SeeCity continues to promote this urban, creative and cultural, movement in the rest of Europe: so, one year after the first edition in the Spanish capital city (see PHOTOS & VIDEO), The MNR returns to Madrid – this time hosted by “Estación21” festival thanks to Chulapa Flow Productions – for the first-ever European Tour organized in partnership with UNESCO: The #MNRlight2015! MADRID, Saturday 20 June 2015. MEETING POINT: Saturday 20 June 2015, 17.45 @ KM 0 – Puerta del Sol, Madrid. 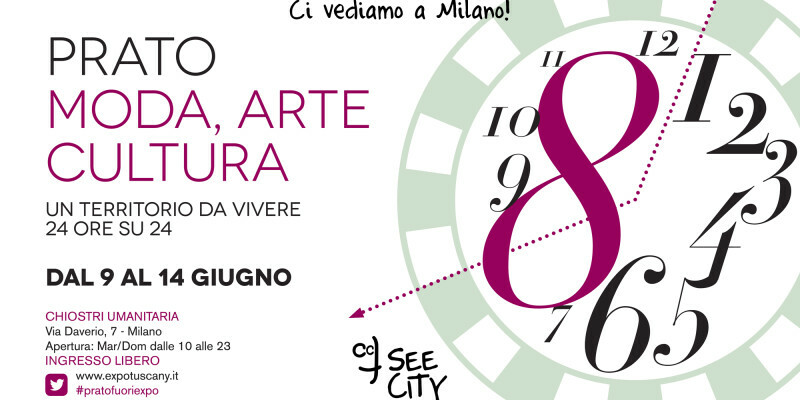 At 18.00 we’ll leave, so it’s important to be punctual! – Adrián Bilbao & Oksana Anasko: founders of Free Eco-Tours Madrid. – INRA: folk rock band from Madrid. – Toto & Manolo: lutists of Glissando. – Stefano & Alejandra: videomakers. – Chulapa Flow Productions: cultural organization, creator of “Estación21” festival. – Free Eco-Tours Madrid: a way to know the city by meeting innovative and sustainable realities, especially in La Latina and Lavapiés. – Glissando: the unique School in Spain where you can learn how to build Spanish guitars, according to tradition (Calle Castillo 4, Chamberí). – El Azul: from breakfast to dinner, a peaceful corner in Barrio de las Letras (Calle Fúcar 1). – El Cielo: here the best products of the market become delicious take-away food (Calle Fúcar 4). #MNRlight2015 // #MNRmadrid // JOIN US! This entry was posted in #MNRlight2015, . 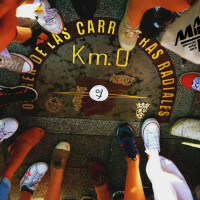 Madrid, The Midnight Run and tagged #IYL2015, #MNRlight2015, #MNRmadrid, 2015, Alvaro Cuallado, Barrio de las Letras, Chulapa Flow, Chulapa Flow Productions, El Azul, El Cielo, Estación21, Estación21 Festival, festival, folk rock band, Free Eco-Tours Madrid, Glissando, INRA, INRA band, International Year of Light, Liter of Light, Liter of Light Italia, MNR, restaurant, ristorante, Spanish Guitar, Stefano & Alejandra, take away, The Midnight Run, The MNR, Unesco. Bookmark the permalink.